Ningbo Praise Fishing Tackle Co.,Ltd. 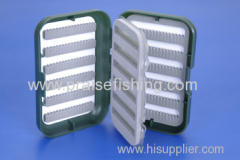 Ningbo Praise Fishing Tackle Co.,Ltd is a professional enterprise which is specialized in developing and manufacturing full ranges of fishing tackles. Our leading products are: fishing swivel, fishing snap, fishing swivel with snap, snap hooks, float seats, lead piece seats, fishing reel, fishing lure, fishing tackle accessory and so on. In recently years, due to our high quality, resonable price and in-time delivery, our products are well sold in the competitive fishing tackle market and have been exported to more than 30 countries. We takes "Quality Supreme,Price Reasonable,Delivery in time,Service Paramount" as our working principles,and the our products now enjoy a high reputation in the market.